Does your child like playing sports? Could they be the next Lebron James or Serena Williams? We gathered some of our best sports experts to help answer all of your sports questions! 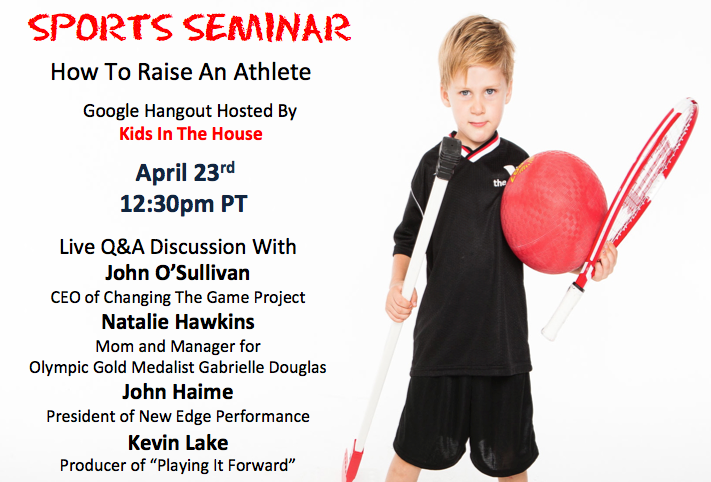 Join us for our live Q&A discussion with John O'Sullivan and Natalie Hawkins on April 23rd at 12:30pm PT! Kids In The House is the world’s largest parenting video library! Our editorial staff brings you the latest information on parenting subjects from how to get pregnant to sending your teenager off to college. Every week we focus on one topic to bring you parenting tips for all parenting styles from top our top experts!